Ideal for storing and protecting artwork, photographs, limited edition prints, family heirlooms, maps, plans, old documents and much more. 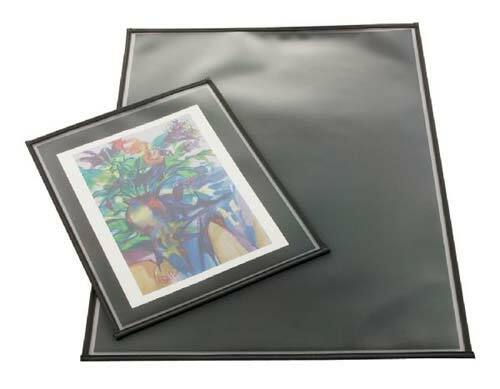 These protectors support and protect contents from stress, dirt, fingerprints, and atmospheric pollutants, and are made from heavy-duty .010" clear polypropylene with reinforced black nylon binding on all sides. Features sewn edges and an acid-free black paper insert. Guaranteed archival quality, neutral pH and acid-free. Great for temporary displays or items that need to be handled frequently. 134 points will be rewarded when you are logged in to your account and buy this item.